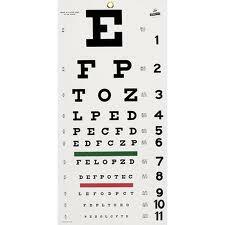 The other day I heard that 9 out of 10 people have vision problems. What I read stated 60% of Americans are farsighted, and 30% are nearsighted. To me this seems like an inflated number. I saw in one place on-line that there was only an estimated 75% of Americans with vision impairment – yet it stated the same 60/30 far/nearsighted stats just a few sentences later. Either way, 9 out of 10 or 3 out of 4, seems high. I thought of the people I know… While my wife, children, and I all recently tested 20/20 vision – neither of our immediate families fare so well. She is the only one in her immediate family, and I in mine, that has not required some sort of vision correction. With scriptures like Matthew 7:1-5, Proverbs 29:18, Hebrews 12:2, Luke 11:34, and many, many more… it is clear that vision is important, having the correct vision is ultra-important. So I did a little looking into (pardon the pun) vision problems. 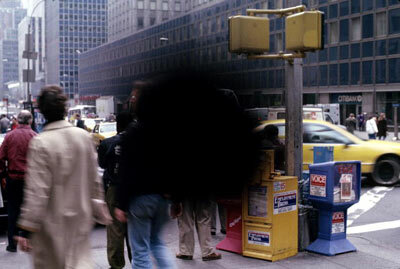 Far-sighted – up to 60% of us? These folks have trouble seeing items up close. Those in the distance are clear, but the here and now is a bit fuzzy. Untreated this can cause them headaches and fatigue. Near-sighted – one out of three? These are the opposite of the farsighted folks. They can’t see far off, but items that are near to them are crystal clear. I read that these folks are “unaware of faraway objects.” Interesting choice of words. 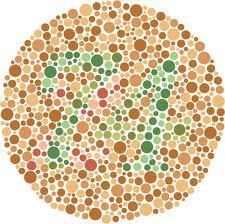 Only one-half-of-one-percent of females are color blind, yet up to 8% of males have some form of color blindness. Color blindness is simply perception problem… These people just don’t see the full scope of the situation. Do you see a number? Cataracts – The leading cause of blindness. 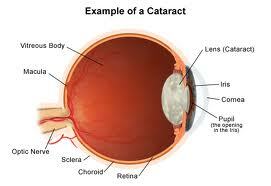 Basically a cataract is a barrier between the light source and the eye. It’s a cloudy covering that seeps in while pushing everything else in your view out – until it is the sole object of your focus. This affliction targets mostly the elderly, but it also seems to attack those that set their sights high. Glaucoma – The second leading cause of blindness. I was amazed to learn several years ago that many people who are blind have nothing wrong with their eyes – their eyes will dilate when the light changes. Yet they cannot see simply because their optic nerve does not communicate with the brain. The optic nerve is the go-between of what we see & the power source of our sight. If there is damage to the nerve, your eye may operate as it is designed but to no effect. 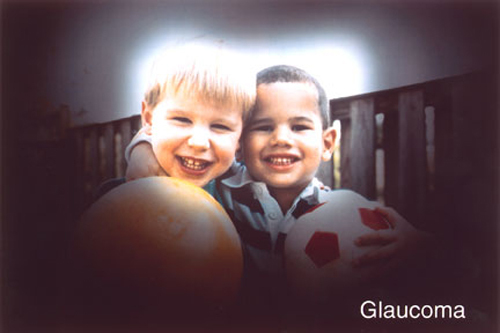 There are two main types of glaucoma – open angle & closed angle. Closed angle comes on suddenly and is painful. The person experiencing it usually finds help before permanent damage happens. Open angle, on the other hand, is called the “silent thief of sight.” It attacks slowly and steadily over a period of months and years. The victim is unaware what is happening until it is too late – the damage is done, the connection is all but severed. This is an interesting one. A person with AMD seems to have the middle of their picture burned out. They can see all around the peripheral, where much activity happens, but not the center, the core, the main object of focus. Again, there are two main types, but both have the same main effect. Both cause a detachment of the retina disrupting communication to the optic nerve – therefore to the brain. The cornea is the front of your eye. It’s the clear covering that covers the iris and pupil. Clear being the key word there. The cornea is what takes the information entering the eye and puts it in its proper place. This is more than half the battle! Putting the light in the right place, focusing the information, and filing it where it is meant to go. But when the transparency is compromised the light cannot pass through. Instead of the light hitting its mark there is confusion. Usually this is caused by trauma, or infection. The retina is the lining of the inside of the eye. 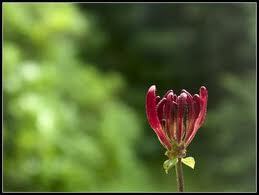 It is very sensitive and actually considered brain tissue. The retina is what develops the pictures our eye takes. It interprets what we see and makes them real to us. 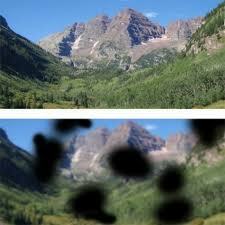 When the retina becomes damaged it causes those pictures to become spotty and incomplete. The primary cause of retinopathy is diabetes… Diabetes is closely linked to diet. 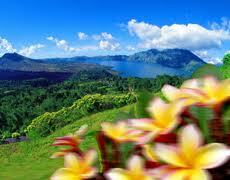 It is not a far leap to conclude that what you take in affects how you see things. This is the roughening of the interior of the eyelids. 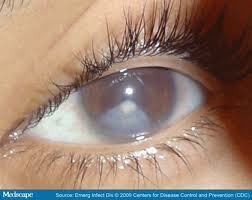 Trachoma is caused by an infection – external and controllable – and is usually spread within a family. Bacteria is passed from member to member and soon the thing that is meant to protect your eye becomes rough and calloused and destroys the eye. Approximately 41,000,000 people are afflicted with this disease – many of them children, simply due to dirty faces. There are several other things that cause blindness and vision loss – like parasites, and malnutrition. Considering all of what I have learned – maybe 90% is a little low.